Carbondale is looking to follow Aspen and Basalt’s lead and raise the age limit from 18 to 21 to buy not only vaping products but any type of tobacco. The conversation at a Tuesday town Board of Trustees meeting grew out of concerns raised in a recent series of education sessions sponsored by the local schools about the rise in teenage use of electronic cigarettes and the practice of vaping. A variety of sweet flavors for the vaping oils and products such as hoodies that have vaping devices built into them, or that are disguised to look like external computer drives, make the products attractive to youth and easy to conceal. “It really brought my awareness up about how vaping has exploded in the last couple of years,” said Carbondale Mayor Dan Richardson, who attended one of the recent sessions presented by Mandy Ivanov, Eagle County Public Health’s schools liaison, at Roaring Fork Schools in Carbondale, Basalt and Glenwood Springs. “My takeaway is that this is something I don’t want our youth any more exposed to than they certainly are now,” Richardson said. What started as a conversation about setting age limits on the purchase of vaping products, including e-liquids, extended to tobacco products in general. The town board is set to consider an ordinance that would raise the age to 21 to be able to buy any type of tobacco product, including traditional cigarettes, chewing tobacco, vaping devices and e-liquids. That’s the same age limit for purchase of alcohol and marijuana products in Colorado. Aspen has already taken that step, and also has changed the local licensing procedures for businesses to be able to sell tobacco products. Basalt also has raised the age limit to 21, and voters there earlier this month approved a local tobacco tax. Carbondale trustees said they weren’t inclined just yet to consider new licensing regulations or imposing a local tax. That’s partly because doing so disqualifies municipalities from receiving tobacco settlement money that comes to Colorado, according to the town’s attorney, Mark Hamilton. Trustees also didn’t want to limit where those of legal age can use e-cigarettes or smoke in public places. But raising the purchase age for tobacco and vaping products to 21 sends a strong message, Trustee Marty Silverstein said. “Kids are always going to find a way around the system,” he said, acknowledging that such products are readily available for purchase online, rather than at local retail stores. Outgoing Trustee Frosty Merriott, who is wrapping up two full terms on the town board, recalled the pain of watching both his parents die from smoking-related causes. 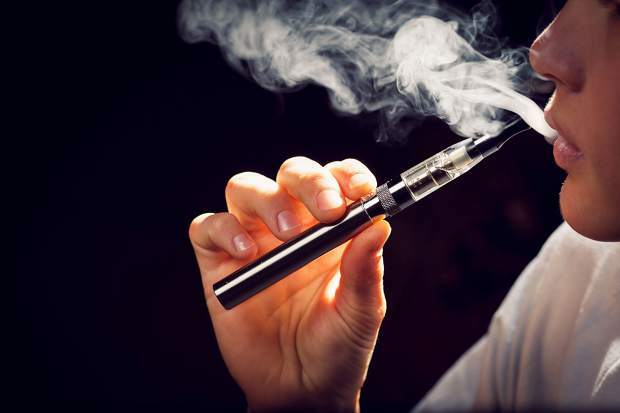 Gretchen Stock-Bell, ordinance officer for the Carbondale Police Department, said it’s not just high school students, but middle and even elementary school students who are experimenting with vaping. “A lot of the kids believe it is safe, and that’s the biggest concern,” she said of the perceived difference between smoking and vaping. “It’s a huge concern, and I don’t think even fourth- or fifth-graders are too young to want to know what it’s all about,” she said. Part of the problem with vaping products is that they are still undergoing FDA testing and lack the regulations that apply to tobacco, she also noted. “It’s becoming a huge issue and a huge problem, and I don’t think a lot of kids or even parents are aware,” Stock-Bell said. Once the new age limit is in place, the town may look at taking other steps, such as limiting where in public outdoor places people can smoke. Mayor Richardson said he also wants to discuss how best to use state tobacco money that comes to the town. Those funds would be best used for mitigation and education efforts, he said. Trustee Erica Sparhawk suggested using some of the funds to take the message out into the larger community, and possibly try to convince Glenwood Springs and Garfield County to raise the age limit for tobacco products, as well.